Last year the high street, most notably Topshop, was killing it in the viral clothing stakes. Whether it was the brand's polka-dot pinafore dress or slinky slip skirt, the general public couldn't get enough of these affordable must-haves, and, unsurprisingly, Topshop went on to release these styles in multiple colourways, which all saw similar sellout success. 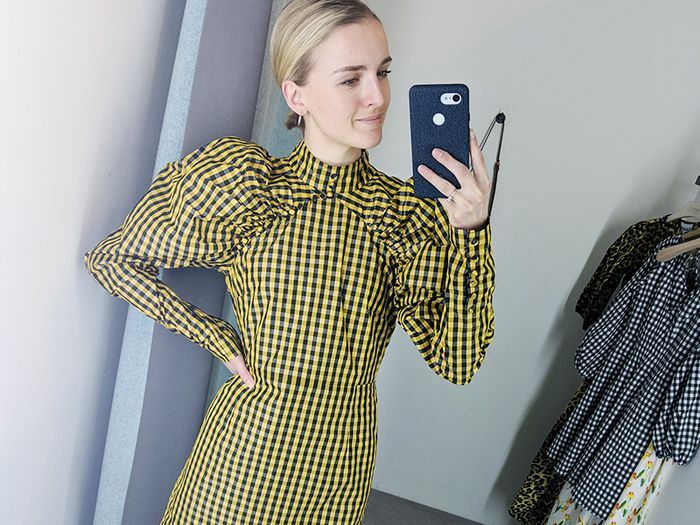 It's time to ready yourself, because Topshop's first cult item of 2019 is officially here and, trust me, it's a good one. Perfect for everything from weddings to weekend drinks, the angle sleeve maxi is everything you could want from a dress. From the arm-flattering floaty sleeves and waist-skimming fit to the standout prints and leg slits, we can certainly see why it has caused such a stir. Coming in three prints—floral, black with stars and white with stars—we expect big things for this dress and hope for many more iterations in the weeks to come. 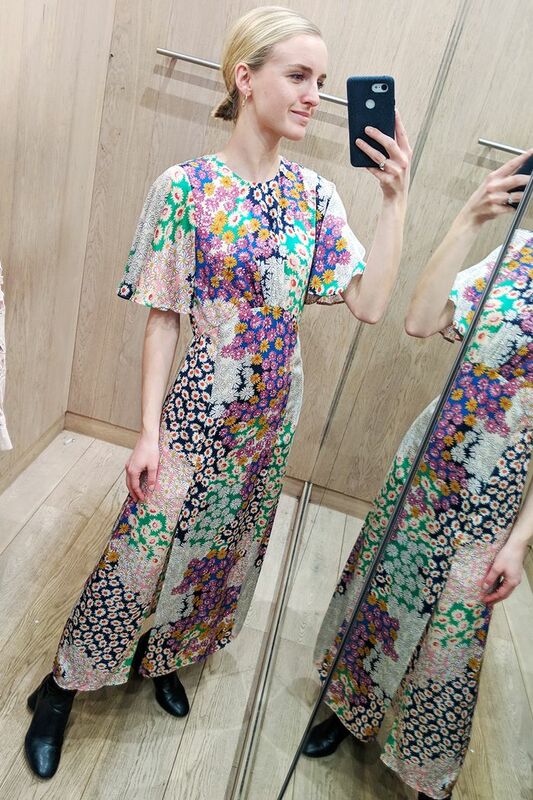 The floral print dress has already sold out, but if history shows us anything, it's that Topshop is sure to restock, so watch this space. For now, you can get your hand on the star print versions. Style Notes: Thanks to the vibrant print, you can happily wear the floral iteration with minimal accessories—a pair of small gold hoops will do. Style Notes: Topshop's personal shoppers have styled their dresses up with ankle boots. We particularly love the colour clash of the red boots with the floral dress. Style Notes: Proof of the dress's versatility: Emma Rose Thatcher elevates hers with Topshop's strappy sandals. A wedding-ready look if we ever saw one.